East Bay Spine and Sports | Ernest Cheng, D.O. 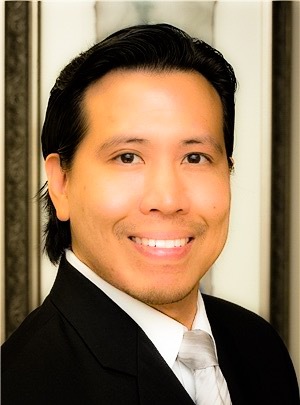 Dr. Ernest Cheng is certified by the American Board of Physical Medicine and Rehabilitation and the American Board of Pain Medicine. Dr. Cheng specializes in the diagnosis and non-surgical treatment of painful musculoskeletal and spinal disorders. He holds additional expertise in Interventional Pain Management, Sports Medicine and Electrodiagnosis (EMG/NCV), and is a Certified Strength and Conditioning Specialist and Sports Performance Coach. He is an active member of the International Spine Intervention Society, American College of Sports Medicine and National Strength and Conditioning Association. Completed undergraduate studies at the University of Illinois. Completed medical schedule at Midwestern University in Glendale, AZ. Completed residency training in Physical Medicine & Rehabilitation at Rush University Medical Center in Illinois, where he served as Chief Resident. Completed fellowship training in Interventional Pain Management at Rehabilitative Consultations in Emeryville, CA. Dr. Cheng moved to the Bay Area to be closer to family and enjoy the things that California offers. He lives in the East Bay with his family. A regular basketball player and weight trainer, he has also played adult league baseball. Dr. Cheng trains regularly in Mixed Martial Arts (MMA) and provide medical coverage for combat sports competitions. A sports fan, he follows Chicago sports teams (Bulls , Bears and Cubs), but has adopted the 49ers and Giants. Dr. Cheng is an active in the Chinese American Physicians' Association.